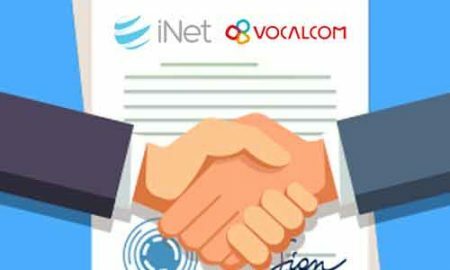 iNet and Vocalcom are pleased to announce an exciting initiative for 2019; building on an established 4-year Partnership that has successfully unified and deployed Vocalcom’s world class contact centre technology with iNet’s carrier grade telephony infrastructure. The partnership is now strongly positioned to expand and develop its presence in the UK contact centre market, bolstering an already strong customer base. From the initial partnership engagement in 2014 the relationship and synergy between both companies has evolved significantly to meet the growing customer demands in the UK. “When we initially partnered with Vocalcom, we were drawn to the omni-channel power of Vocalcom. Delivering voice and numbering solutions through iNet’s secure telecoms network made perfect sense as an end-to-end cloud solution for clients looking to transform to digital. The partnership works really well for our customers” he continues. This exciting joint initiative and collaborative go-to-market sales strategy will take advantage of Vocalcom’s continued investment and development of their Cloud Contact Centre solution and the significant global expansion of iNet’s telephony capabilities that now extends to providing local inbound and local outbound call termination in 40+ countries. With the upcoming new release of Vocalcom’s Cloud AI led Version 6 contact centre solution and the truly ‘global reach’ of iNet, 2019 is set to bring significant growth in key sectors. 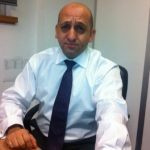 Michael Pavlou CEO of iNet explains further: “both companies have worked hard to make the relationship commercially and technically successful and having partnered with Vocalcom since 2014, our confidence in the partnership continues to go from strength-to-strength”. iNet is a leading telecoms network provider and one of the pioneers of cloud-hosted call centre solutions in the UK. iNet provides integrated cloud-based multi-channel contact centre solutions across all channels and devices. Our unique end-to-end solution puts you in complete control whilst reducing costs, increasing customer satisfaction and improving business agility. iNet Complete will enable you to start creating meaningful real-time connections across all digital channels; Voice, SMS, Email, Web Chat and Social Media, enabling you to deliver the best response times and the best customer experiences. Our approach and ethos is to be flexible and to tailor solutions to suit our customers. Be the first to comment on "iNet & Vocalcom Strengthen Ties with Customer Engagement Solutions"